The designer, Chifen Cheng, takes her inspiration from 'vesica piscis'; the shape of two overlapping circles with the same radius. Her idea was to convert the geometric composition into a table while capturing a glimpse of light. 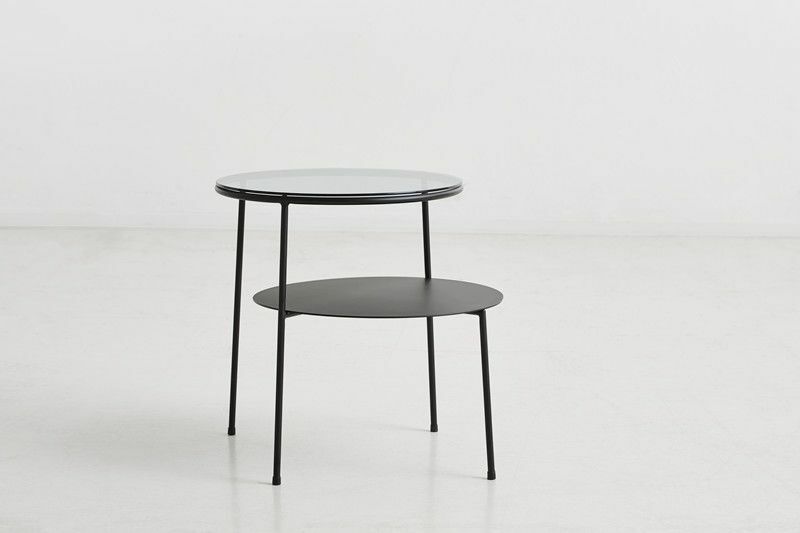 The metal frame supports the two surfaces, which makes the Duo side table simultaneously delicate and steady while offering an appearance of tranquility. Designed by Taiwanese-born Canadian, Chifen Cheng. Her inspiration for new designs originates from the way lines and shapes intersect space, which translate the visual consequence into a product that is honest and good to live with.